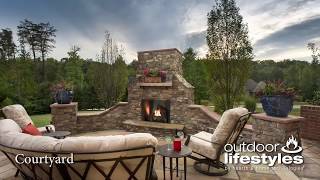 Courtyard -The Courtyard outdoor gas fireplace is the perfect blend of artistry and function: traditional styling with ultra-realistic logs or contemporary glass, that ignite at the flip of a switch. 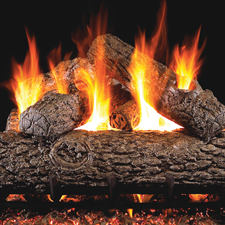 Mesmerizing flames provide instant ambiance and relaxation. Cozy up with the Courtyard.